If you just added a new furry companion to your family, you’re probably filled with feelings of excitement, joy and a little overwhelmed. Whether you adopted a puppy from your family friend’s litter or a fully grown dog from the local shelter, your life is about to change forever — but for the better, of course. Who doesn’t want a cute face and wagging tail to come home to that will always provide unconditional love? 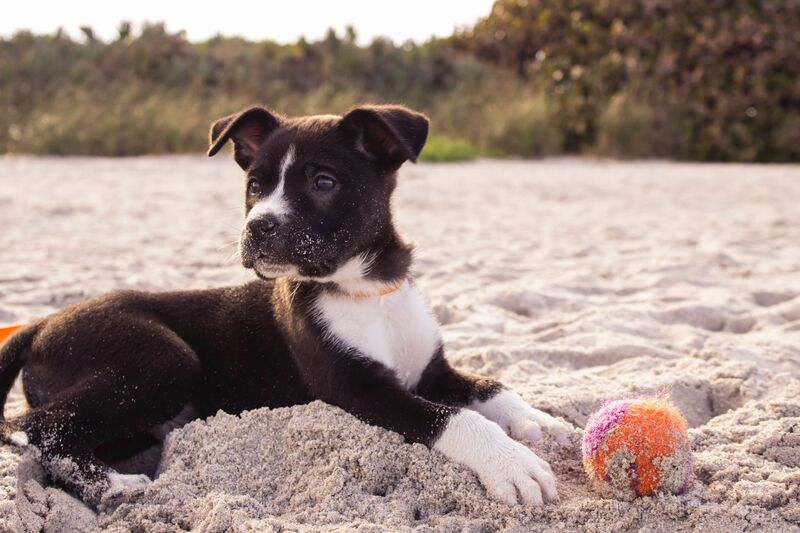 As a first-time dog owner, you might be confused about what you’ll need to have in stock for your new furry family member. Luckily, at Royal Pets Market & Resort in St. Petersburg, Florida, our pet market has everything you’ll need and more to make your new dog feel right at home in no time. From dog beds to leashes to pet treats, we have a variety of items that will make your dog feel like royalty. Stop by our St. Petersburg pet market location today, or contact us for our additional pet services, which include a veterinary center, a pet resort and a pet grooming salon. 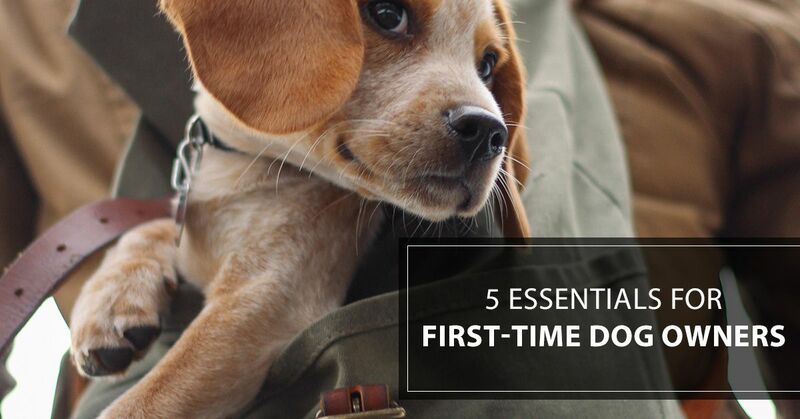 In this blog post, we’ll go over the first five of 10 essential items you’ll want (and need) as a first-time dog owner. To read Part 2 of this blog, check it out here. These are two separate items, but both will make your dog feel safe and secure when you’re home or away. A nice, comfortable dog bed is perfect for your dog to lay in when you’re both hanging out at home, or if your good boy or girl needs a place to sleep that isn’t in your bed. Dog beds can be made with different fabrics depending on how much support your furry companion needs, but if you have an avid chewer or a brand new puppy, you might want to start out with a bed made of heavy-duty material they can’t shred to pieces. Pro tip: If you decide to crate-train your dog, make sure you don’t utilize the crate as a punishment tool. That will cause your dog to associate the crate with negative feelings rather than safe ones, which will make it harder for them to go into the crate when you want them to. These items are important for safely and effectively transporting and walking your dog. You’ll want to measure your new dog’s neck and find a collar that fits them snuggly. Whether you decide to keep your dog’s collar on at all times or you only put it out when you two go out, collars come in a variety of colors, styles and sizes so you can find one that perfectly fits your furry friend’s personality. Investing in a harness is a great way to keep your dog from choking themselves on your walks. If you aren’t sure what size of a harness your dog needs, ask the associates at our pet market. Leashes, much like collars and harnesses, come in a variety of colors and designs. You want to keep your leash between 4 to 6 feet to have the most control over your new dog, and there are even specialized leashes for your dog if he or she is a puller. On your dog’s ID tag, you’ll want to include your dog’s name, your name and a phone number someone can reach you at in case your furry friend gets lost. Most collars have a place where you can attach these ID tags with ease. OK, in case you didn’t already know this, dogs love toys. Rope toys, tennis balls, frisbees, stuffed animals — you name it. We advise getting chew-proof toys, as these are designed to last for a long time and will prevent stuffing from getting all over your home. Toys can also keep your dogs from chewing on your beloved items, such as pillows or shoes. These are probably your dog’s favorite items on this list: you obviously need to pick up some doggie kibble and treats for your new furry companion. Dog food comes wet or dry, depending on your dog’s preference. It also comes specified for certain dog breeds, ages and physical activity levels to ensure your dog is getting the proper nutrition he or she needs. If you’re unsure of the type of food your dog will need, feel free to ask any of the associates at our pet market. As far as treats go, there are three types of dog treats you should have stashed away: long lasting treats, training treats and dental chews. Long-lasting treats are treats that will keep your dog occupied for hours, days, even months — typically, these kinds are of the bone category. Training treats are tiny treats you can use to reward your dog when teaching him or her tricks or basic training exercises. Lastly, dental chews are treats specifically designed to keep your dog’s chompers strong and clean in between dental exams. Plus, they can help with intense doggie breath. Now that you’ve gotten your dog food established, your dog will need something to eat it out of. It’s wise to contribute a designated area in your home to feed your pet, and you’ll want to invest in a food bowl and a water bowl. Make sure you continuously clean your dog’s bowls to avoid any potential illnesses. Pro tips: If you have a larger dog, you might want to purchase an elevated food bowl for your dog to eat and drink out of so they don’t have to strain their neck to the floor in order to reach their bowls. If you have a particularly messy dog, you might want to purchase a placemat for your dog’s feeding area to allow for quick clean-up after your dog is finished eating or drinking. At Royal Pets Market & Resort in St. Petersburg, we put pets first. Whether you’re a first-time dog owner or you’re adding a fifth cat to your family, our pet market has the pet products you’ll need to give your pet the best life possible. You can trust our team of pet-lovers with your pet supply needs, pet vaccinations, boarding services, animal hospital needs and more. For more information on our pet market or other pet services in Florida, contact us today. Also be sure to follow up with our blog for Part 2 of the essential items you need as a first-time dog owner.